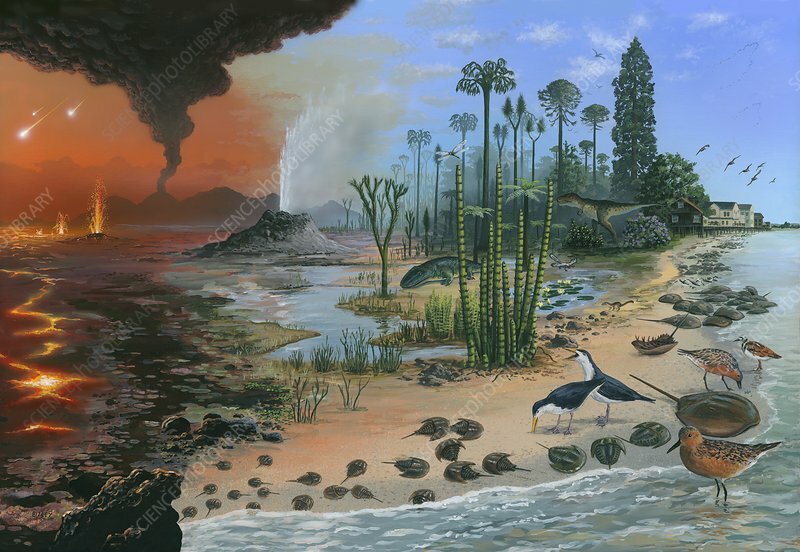 Illustration spanning from the PreCambrian to the present, approximately 4600 million years, splitting into six unequal columns. This demonstrates the incredible span of geological time horseshoe crabs have been in existence, 480 million years, since the Ordovician. There is some overlap between periods in order for the landscape to flow coherently.